Venice day one Piazza San Marco – copyright Stephany Wiestling, all rights reserved. 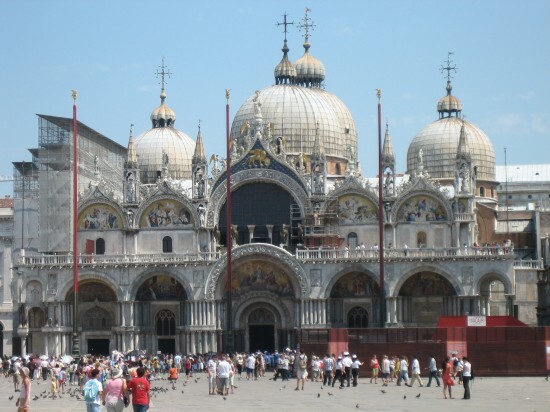 Piazza San Marco (or St Mark’s Square) – The world-famous pigeons are everywhere and seem to think that the chimes of St. Mark’s Cathedral signal feeding time. Be mindful of food you intend to eat, as the birds will try to steal it. Not a great place for a picnic! However, the piazza is beautiful and full of life – tourists, shopkeepers, musicians, street performers, and of course, the birds. You almost can’t leave Venice without a pigeon photo. Gondola ride – One of the nice things about taking a gondola ride is that it’s like a moving history lesson on the city of Venice. The gondoliers (many of whom are 3rd generation or more) tell you all about Marco Polo and how the islands used to not have bridges connecting them, and how deep the canals are, and how high the water comes at high tide, and more, all while effortlessly gliding across the water surrounded by beautiful and ancient buildings. Of course, you can save a little money and skip the history lesson by taking a water taxi. 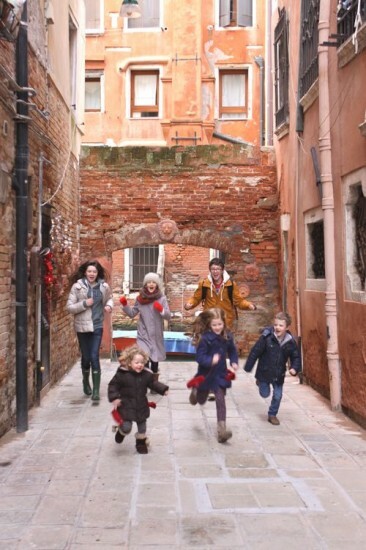 Kids are enthralled with the fact that the streets are filled with water and everyone travels by boat… even the mailman. 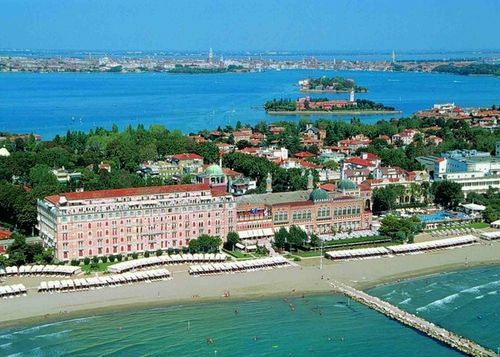 Lido beach – The main city of Venice doesn’t have any beaches. Each block (or cluster of blocks) is it’s own island built out to the very shore. To get an actual beach with actual sand, you must take a ferry to Lido. 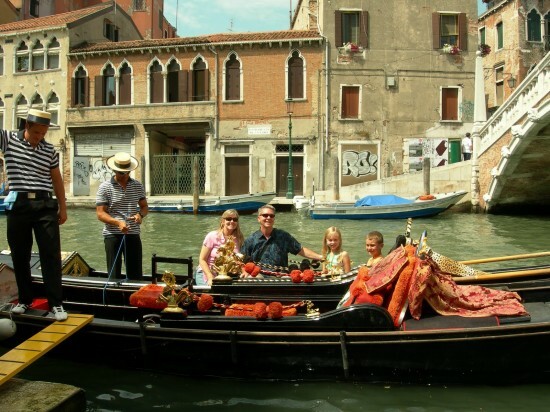 Just a short ferry ride from the city of Venice, staying on Lido will let you sneak in a family beach vacation too! Gelato – Italian ice cream. Need I say more? Seriously, if you haven’t had gelato, it’s the best ice cream you’ve ever had. (ok, so it’s not technically ice cream but that’s another topic) There are so many cute little gelato shops around random corners, and they all offer a delicious break from sight-seeing. Plan your trip in summer to really appreciate this treat, but any time of year is worth it. Speaking of summer, one thing worth mentioning, is to choose your dates carefully because of flooding. We went in August when many things are closed, which meant less tourists, but great weather… and no flooding. I don’t worry too much about crowds honestly, as typically that’s part of going to any city at any time of year. 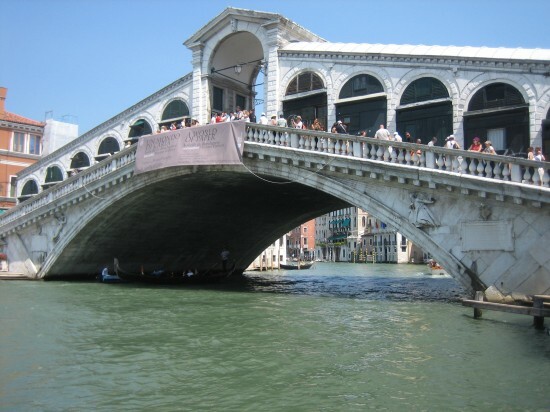 Rialta Bride Venice Italy – copyright Stephany Wiestling, all rights reserved.